Jacknife Oilfield Services has mechanics that are fully trained, experienced, and qualified to repair most problems with your heavy duty diesel trucks, light duty trucks, and trailers. We are a trusted business in northeast Alberta that has won numerous awards for dedication to our customers. Our mechanical repair shop is open 5 days a week, Monday to Friday from 8AM to 5PM and we welcome customers from Bonnyville, Cold Lake, St. Paul, Lloydminster, Lac la biche and the surrounding communities. If you can’t come to us, we also have a service truck, ready to perform work in the field. We know that there are times when things break down on the road and you just need someone to come to you. 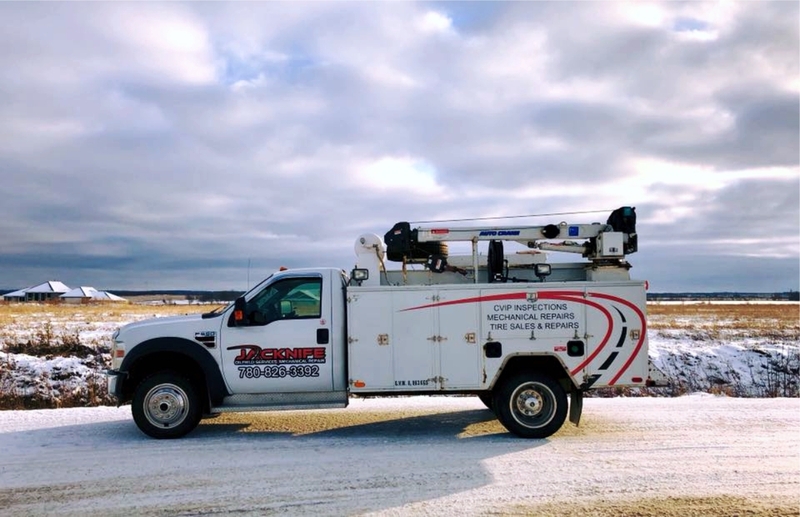 Our service truck is well equipped and our service technician is ready to get you going again. We work with our customers to ensure their cars and trucks are in optimal running condition. We implement preventative maintenance programs so that customers’ vehicles have less downtime and avoid large maintenance repairs in the future. We understand that one of the most important and frequent maintenance services is a full service oil change. It’s a preventative maintenance necessity designed to maintain the safety and extend the life of your vehicle. Maintaining your oil properly also maintains your warranty. We also now do automotive repair, so it doesn’t matter which of your vehicles needs work since we are your one stop repair shop in Bonnyville. 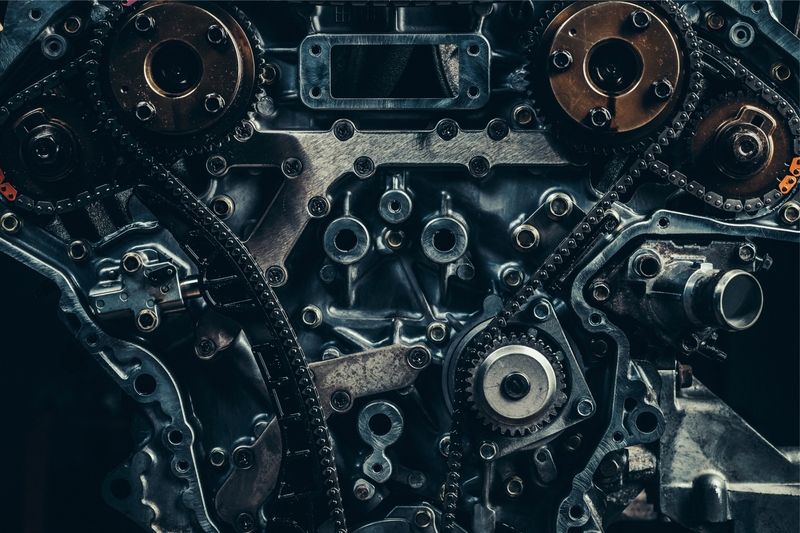 Our trained and experienced mechanics can quickly take a look at your car and give you a detailed quote so that you can understand the work that needs to be done and why. If you decide to go ahead with the work, they will keep you informed every step of the way. Whether your car simply needs an oil change, brakes, or something more serious like engine or transmission work, our technicians can be trusted to fix your car right, at competitive prices. The Jacknife Oilfield shop stocks a large range of parts for heavy duty vehicles, light trucks, trailers and oilfield equipment. We offer competitive prices and have access to a variety of brands. If we don’t have it in stock, it can be ordered and delivered within 24hrs. We inspect, change, and repair tires and we have access to a variety of brands at competitive prices. Let our trained staff help you find the right make and size of tire for your truck or trailer. We can have your new tires installed in no time. Our experienced and trained heavy duty mechanics can perform any necessary maintenance or repairs to your trucks transmission. We can replace or repair both automatic and manual transmissions as well as clutches, made by most of the major manufacturers. If your brakes are not performing as well as they should, our mechanics can make sure you and your heavy duty truck and trailer will be safe on the road once again. We can inspect your brake system and give you a competitive quote. Whether you have an overheating engine, low heat in the cab, or a coolant leak, Jacknife will locate the problem for you and get you back and running in no time. We will carefully inspect and pressure test your cooling system and look for bad hoses and faulty components in your radiator. Jacknife can quickly diagnose and repair any problems you might have with your air conditioning unit, and make sure you will be cool on the road in the summer months. We can test and recharge your air conditioning so that it is in top shape and properly maintained so that you can expect it work properly for the long haul. The technicians at Jacknife can diagnose and repair your trucks differential and axle. If you are hearing some sounds or feeling some vibrations that shouldn’t be there, come in and let us have a look at it so that you can feel confident that you won’t have any problems on the road. If you feel like your steering is becoming loose or maybe you are feeling some vibrations that were not there before, you might want to have us inspect your truck. You may require some periodic maintenance or repairs to any of the components that make up your suspension and steering. Our trained technicians know what to look for, and can give you a detailed explanation of the work that needs to be done. REQUEST OUR MECHANICAL REPAIR SERVICES TODAY!